Each collectible comes with a collage of images, team logo, and a piece of turf. 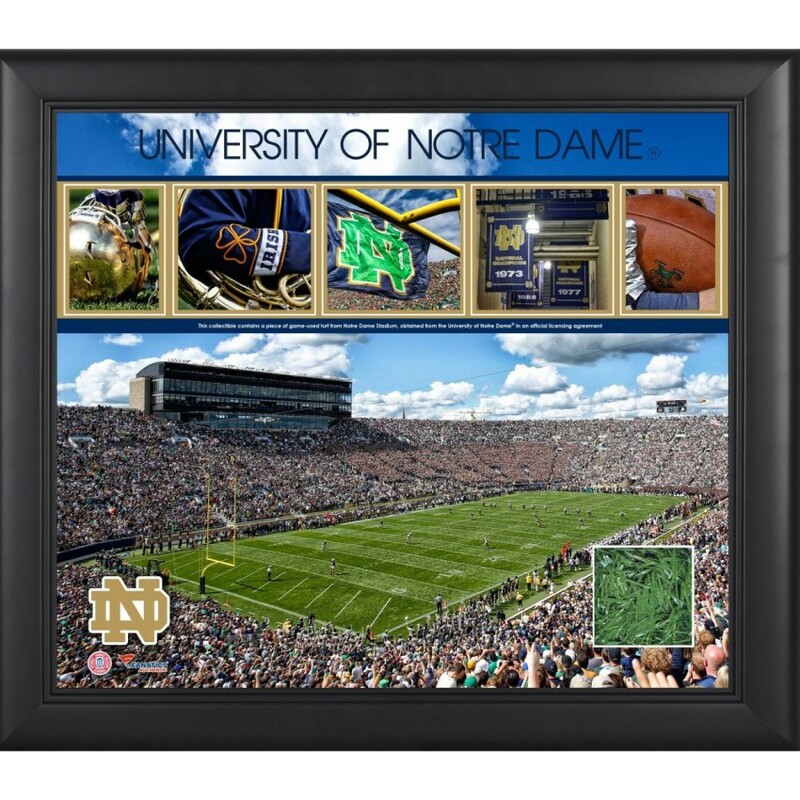 This product is officially licensed by the CLC and the University of Notre Dame. This collectible contains a piece of game-used turf from Notre Dame Stadium, obtained from the University of Notre Dame in an official licensing agreement. It measures 15" x 17" x 1" and comes ready to hang in any home or office. This 8'' x 10'' photograph has been personally hand-signed by Terrell Suggs. It is officially licens..
Commemorate the Baylor Bears' thrilling victory over the Oklahoma Sooners at at Floyd Casey Stadium ..
Commemorate the Wisconsin Badgers' advancement to the Sweet 16 with this collectible plaque. Each pi.. The New York Jets framed logo jersey display case is made from a durable, high strength injection mo.. This 16'' x 20'' photograph has been personally hand-signed by Patric Hornqvist with the inscription.. This 8'' x 10'' photograph has been personally hand-signed by Santonio Holmes. It is officially lice..